The Tonight Show is a dream job for any comedian, but as a computer science major in college, Jimmy Fallon never considered it a possibility. 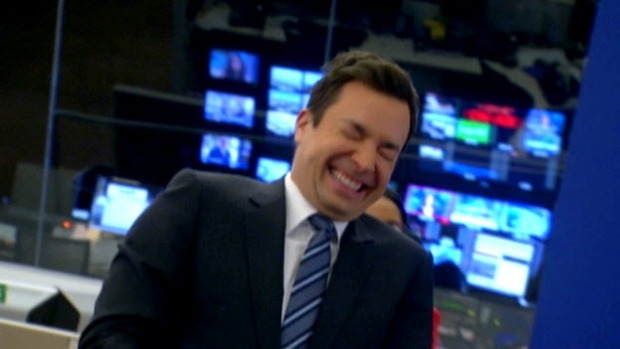 "My dream job was to work at IBM," Fallon said, semi-seriously. "That was my actual dream job." Fate had other plans, and next February, he'll be taking the reins from Jay Leno. "I've been friends with Jay since before I was doing the talk show," Fallon said. 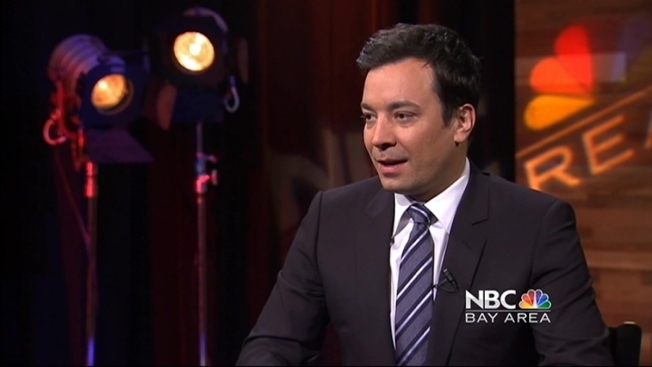 Here's a behind-the-scenes look at Jimmy Fallon's visit to the NBC Bay Area studios in San Jose. "When he was ready, he called me up and said this is going to be my year, so I said OK, and then of course everyone started calling from NBC and I'm calling Jay saying what do I do, asking for advice." As much as he's asking for advice, he's embracing his role in television history. "Someone said to me the other day that more people have walked on the moon than have hosted the Tonight Show, so I said in my case I've done both." Fallon was born and raised in New York, but his wife grew up in Marin County. "She talks about Marin all the time, whenever she sees anything on TV, a movie she recognizes, she says 'I used to go there,' Fallon said. The couple welcomed a baby girl, Winnie Rose, to their family five months ago, and like any new father, Fallon couldn't help but show off photos and videos of her from his iPhone. "This is her passport photo," Fallon bragged. "She's like I don't want to leave this country. Leave me alone, I don't want to leave my crib."